Much has been made of the fact that Ubisoft won’t be putting out a new mainline Assassin’s Creed game this holiday season, as had been the norm since Assassin’s Creed II was released back in 2009. But it was clear that Assassin’s Creed was suffering from “franchise fatigue”, and perhaps needed to take a break, especially after the last two entries in the series and 2014’s Assassin’s Creed Unity in particular, did not do as well as many had hoped. But at least Assassin’s Creed fans will be getting The Ezio Collection this holiday season, a collection of remastered games featuring Assassin’s Creed II, Assassin’s Creed Brotherhood and Assassin’s Creed Revelations, plus other extras (although sadly the multiplayer is not included). These games feature charismatic Italian protagonist Ezio Auditore (who is arguably the best Assassin’s Creed character to date) plus fantastic open-world gameplay and some truly gorgeous visuals. 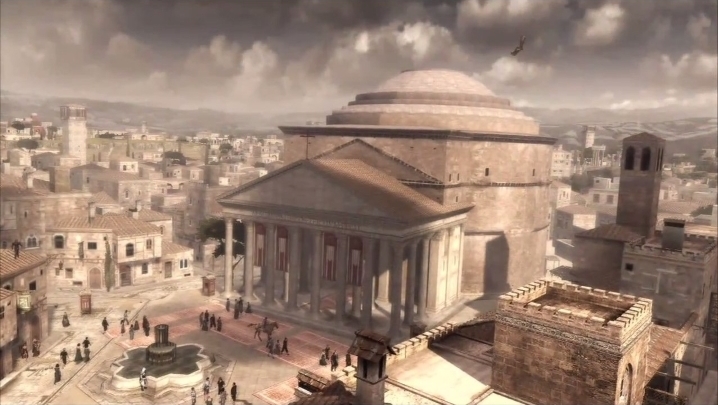 Actually, the likes of Assassin’s Creed II are not only amongst the best video games ever made, but were also some of the best-looking back in the day, with beautifully recreated Renaissance cities, realistic character models and detailed textures. The remastered games in The Ezio Collection will look even better though, as a new comparison video released by Ubisoft shows the remastered editions visuals’ will feature more colour, clarity and distant details than the original Xbox 360 and PS3 games.